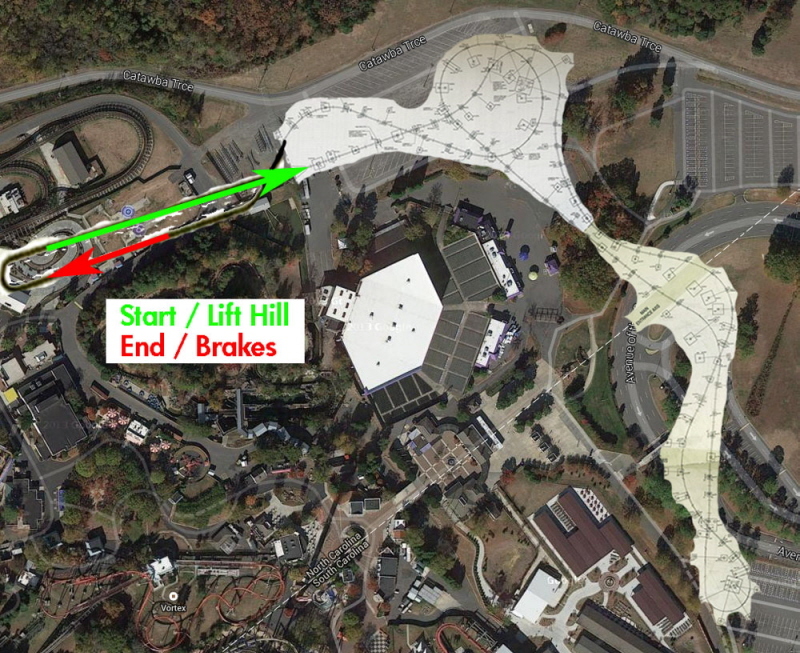 InSanity lurks Inside: Carowinds Park- New Coaster Blueprints, Fury 325?! 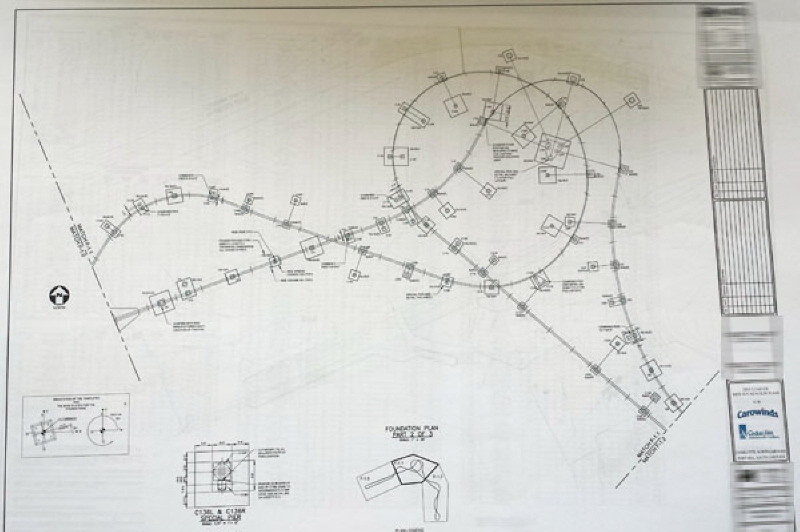 Carowinds Park- New Coaster Blueprints, Fury 325?! Carowinds Park- New Coaster, Fury 325?! Well folks, it may be very late (or early depending on how you look at things) but Screamscape leaked something amazing and we're here to report it! It seems the rumors of a new coaster coming to Carowinds will be true. While we're still not sure who is building this, it's massive. With a possible name of "Fury 325" being trademarked by Cedar Fair, we could easily be looking at a Giga/Hyper coaster with a huge lift hill and shockingly tall drop. The best guesses right now seem to be that the drop will be close to or slightly over 300 feet and will likely the be the parks 2015 project. The picture to the right is also another guess of where this new monster could fit into the park. Honestly, this is so new we're all going to be guessing in the dark for a while now (or until someone better at reading blue-print then I am looks at it). This could match or even out-size Leviathan at Canada's Wonderland. This also looks very, very similar to the general layout of Leviathan (with slightly different elements, naturally). Not to worry, we're now going to be watching Carowinds closely. More news when we can find it!